One of Iran’s top military leaders on Saturday said he is confident war with Israel is coming, and that the conflict will end with the obliteration of the Jewish state. “War will happen but it is not clear where and when,” Commander of the Islamic Revolution Guards Corps (IRGC) Major General Mohammad Ali Jafari told reporters. 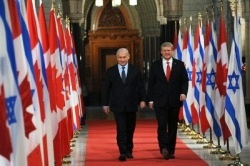 Jafari insisted that Israel sees no way besides war to confront what it claims is Iran’s quest to attain nuclear weapons. The “stigma and cancerous tumor” that is Israel seeks to wage a war, but should be restrained by the West lest it face destruction, stated Jafari. While Iranian officials like Jafari maintain that the Islamic Republic’s nuclear program is peaceful in nature, the general hinted that it does in fact have a nuclear arms program. “The Islamic Revolution is moving hastily towards achieving its objectives,” Iranian media quoted the general as saying. There is also no way Iran could physically obliterate Israel besides using nuclear weapons, considering the distance between the two nations. Meanwhile, the US Senate on Saturday passed a resolution reaffirming America’s commitment to preventing Iran from attaining nuclear weapons, and insisting that a policy of containing a nuclear-capable Iran is not acceptable. Passed by a vote of 90-1, the resolution also stressed that it was not an approval for military action against Iran, something many Israeli leaders say is the only viable option remaining. Once, long ago, the people of Israel were admonished not to put their trust in horses or chariots or foreign powers when facing threats to their nation. It would seem that as the threats to modern Israel increase, the people are heeding that warning, whether consciously or not. 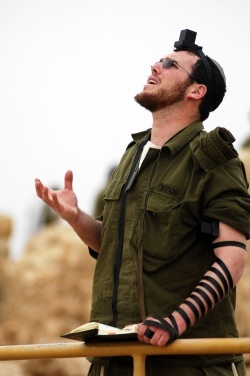 A poll commissioned by Israel Today and carried out by survey company Dialogue among a sampling of 501 Israeli Jews aged 18-65 found that a solid majority are looking to God, and God-fearing allies, to bring deliverance. The results of this survey will be published in the upcoming issue of Israel Today Magazine. 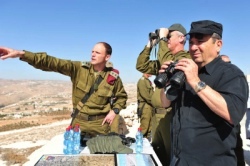 A growing number of Israeli and American commentators are accusing the Israeli government of exaggerating the Iranian threat, or at least of pushing the international community into a premature or unnecessary conflict with Iran. But just last week, the International Atomic Energy Agency (IAEA) issued a report that very much legitimized Israel’s concerns and sense of urgency. 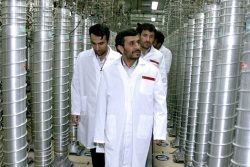 In the report, the IAEA noted that Iran has now installed no fewer than 2,140 centrifuges at its main underground uranium enrichment facility, giving it the ability to produce 200 kilograms (about 440 pounds) of weapons-grade uranium each year. A bit of math reveals that given its current stockpile of enriched uranium, Iran only needs another 50 kilograms to build its first nuclear warhead. In other words, the Islamic Republic could potentially test its first nuclear bomb within three months. 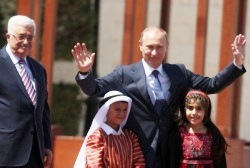 These advancements have occurred in spite of a decade of international negotiations and sanctions. And to those who continue to insist that Iran’s nuclear program is purely peaceful, the IAEA would seem to disagree. “The Agency has become increasingly concerned about the possible existence in Iran of undisclosed nuclear related activities related to the development of a nuclear payload for a missile,” read the IAEA report. For years the international community dragged its feet and responded only with half-hearted talks and sanctions to North Korea’s nuclear program, despite repeatedly promising to prevent Pyongyang from going nuclear. In 2006, North Korea tested its first nuclear bomb, and it was then too late for anyone to do anything about it. In 2007, the Obama Administration commissioned a national intelligence report that all but insisted that Iran had halted its nuclear weapons program years earlier, with no intention of restarting it. Either American intelligence is less capable than the sleuthing skills of the IAEA, or the White House was deliberately trying to downplay what could be a very real existential threat to the Jewish state.